In Point Spread Function (PSF) photometry, a grouping algorithm is used to separate stars into optimum groups. The stars in each group are defined as those close enough together such that they need to be fit simultaneously, i.e. their profiles overlap. DAOGroup: An implementation of the DAOPHOT GROUP algorithm. 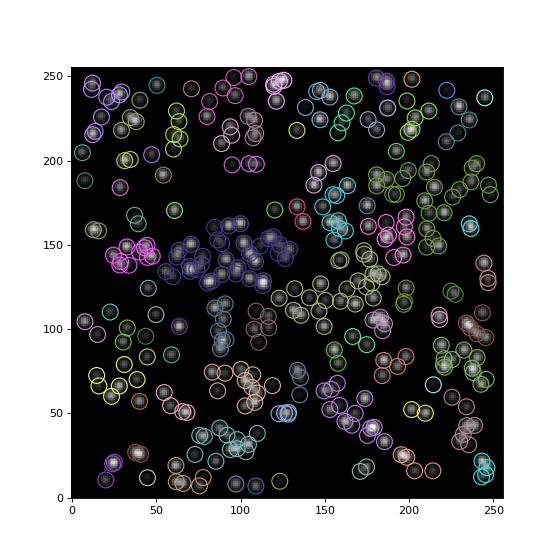 DBSCANGroup: Grouping is based on the Density-Based Spatial Clustering of Applications with Noise (DBSCAN) algorithm. Stetson, in his seminal paper (Stetson 1987, PASP 99, 191), provided a simple and powerful grouping algorithm to decide whether or not the profile of a given star extends into the fitting region of any other star. Stetson defines this in terms of a “critical separation” parameter, which is defined as the minimal distance that any two stars must be separated by in order to be in different groups. Stetson gives intuitive reasoning to suggest that the critical separation may be defined as a multiple of the stellar full width at half maximum (FWHM). Photutils provides an implementation of the DAOPHOT GROUP algorithm in the DAOGroup class. Let’s take a look at a simple example. 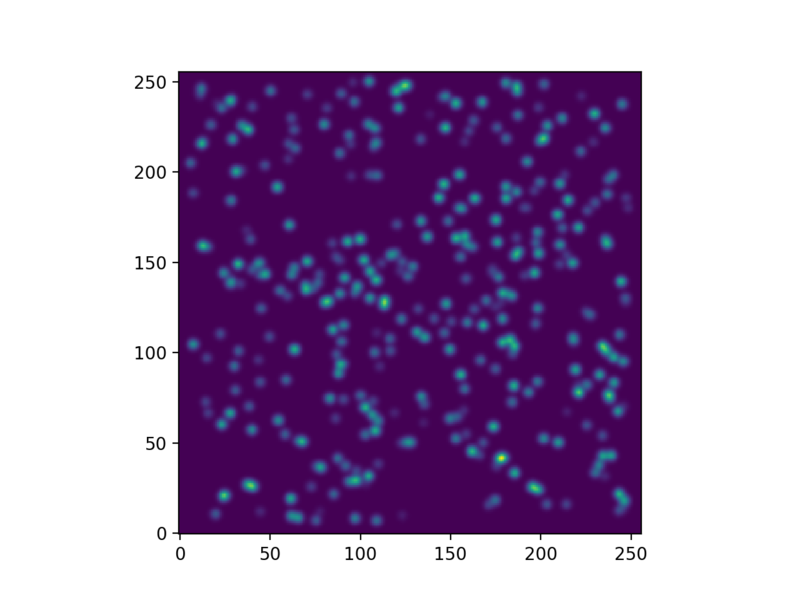 First, let’s make some Gaussian sources using make_random_gaussians_table and make_gaussian_sources_image. The former will return a Table containing parameters for 2D Gaussian sources and the latter will make an actual image using that table. starlist is an astropy Table of parameters defining the position and shape of the stars. Now, let’s find the stellar groups. We start by creating a DAOGroup object. Here we set its crit_separation parameter 2.5 * fwhm, where the stellar fwhm was defined above when we created the stars as 2D Gaussians. In general one will need to measure the FWHM of the stellar profiles. Photutils also provides a DBSCANGroup class to group stars based on the Density-Based Spatial Clustering of Applications with Noise (DBSCAN) algorithm. DBSCANGroup provides a more general algorithm than DAOGroup. Here’s a simple example using DBSCANGroup with min_samples=1 and metric=euclidean. With these parameters, the result is identical to the DAOGroup algorithm. Note that scikit-learn must be installed to use DBSCANGroup. Module which provides classes to perform source grouping. DAOGroup(crit_separation) This class implements the DAOGROUP algorithm presented by Stetson (1987). DBSCANGroup(crit_separation[, min_samples, …]) Class to create star groups according to a distance criteria using the Density-based Spatial Clustering of Applications with Noise (DBSCAN) from scikit-learn. GroupStarsBase This base class provides the basic interface for subclasses that are capable of classifying stars in groups.